yesterday we finished to install this new design of our Group tap hand washing facility at Gatina Primary school that has a population of 850 pupils in Kawangware slums, Nairobi. The Group-tap dispenses liquid soap and water independently to serve up to 30 pupils simultaneously in 20 seconds using less than 2 litres of water with the ability to reserve used water for re-use thus effectively saving on water and soap costs. 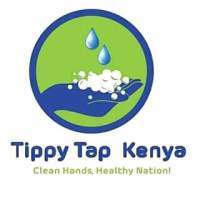 In Kenya, the group tap ensures 100% proper hand washing practice with soap and water before eating in a school setting up from an average of 2% that were observed to wash hands before installation of the group hand wash facility. Kindly find the attached document that shades more light on the same. Last Edit: 16 Aug 2018 04:13 by muench. Now in addition to all the merits of the G-tap that we shared earlier with you is another feature that makes it user friendly to persons who are visually impaired, walking on crutches or on a wheelchair as depicted in the picture. It doesn't stop there because the design also makes it a tool for carrying out oral hygiene practices and lessons to pupils hence foster behavior of hand washing and oral practices in a school setting. kindly find the photos and video attached that expounds more on this. Last Edit: 26 Oct 2018 14:25 by muench.